ROSS Controls® manufactures a complete line of directional control valves and air preparation units for many industries, including the Steel Industry. ROSS products are recognized around the world as the steel industry standard for reliability, repeatability, and robust design. Regardless where in the world your mill project is located, ROSS global network of steel industry pneumatic experts, manufacturing facilities and distributors can help keep your mill running smoothly and productively. 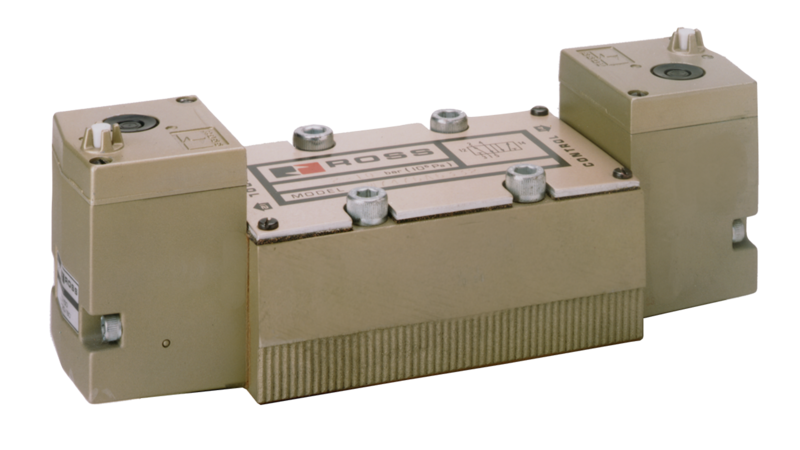 ROSS Controls® Systems Group can help you define your pneumatic control needs throughout your mill and develop turnkey pneumatic panels and stands ready for bolt down and connection to your mill equipment. Our capabilities include panel/stand circuit design, mechanical arrangement, manufacture, testing, follow-up training, and local service. 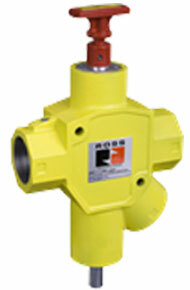 ROSS poppet valves are the product of choice for the Steel Industry. With its proven reliability and performance plus consistent switching times it has proven itself over many decades in this challenging and unforgiving environment. Its internal construction has been carefully calculated to produce strong shifting and sealing forces in each direction which results in a design which ensures high speed, repeatability and high shifting forces over the life of the valve. 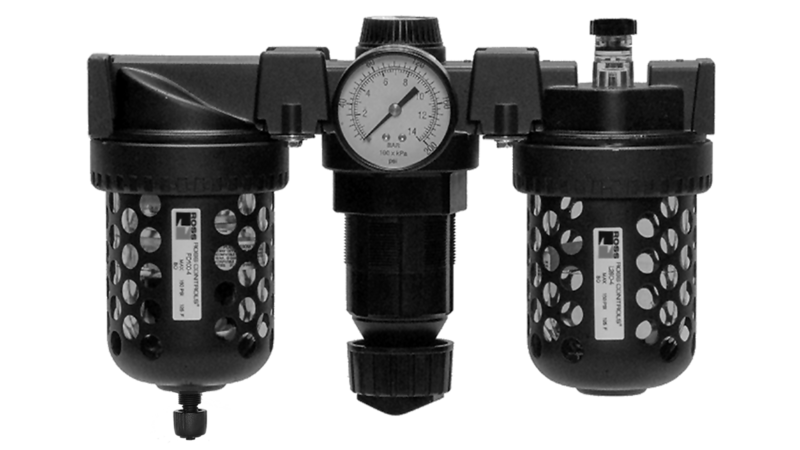 Following any FRL components, an energy isolation valve is usually the first valve in the line supplying compressed air to equipment. The energy isolation valve should provide a quick means of shutting off the supply of air and exhausting the downstream lines. 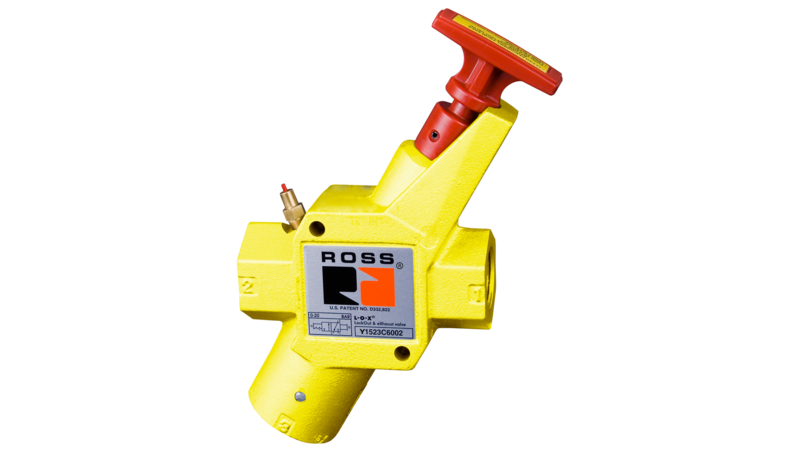 The ROSS High Capacity Manual Lockout L-O-X® valve is offered in either 1-1/2” & 2” ports. It’s yellow body and large red operating handle allow high visibility. 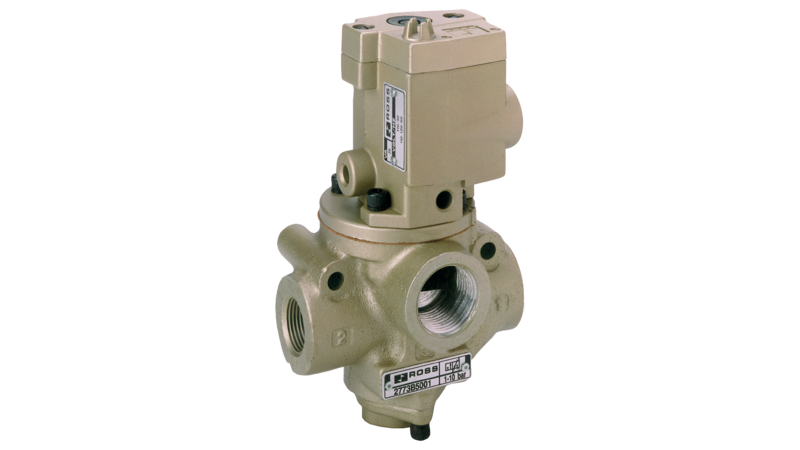 All 15 Series Lockout Valves include an integrated sensing port for pressure verification where a visual pop-up indicator or pressure switch can be installed. The controlling spool of the valve employs seals made of very low-friction material. These seals enable the L-O-X® spool to shift smoothly and easily even after being on standby for a long period of time. The large exhaust port enables rapid release of line pressure and is threaded for the installation of a silencer or a line for remote exhausting. Using the customer’s expertise and intrinsic knowledge of the smelter application, together with ROSS engineering’s capability to quickly design/manufacture a solution using ROSS' proven Poppet internals, opens the door to painless continuous improvement (cost reduction, improved performance, increased uptime, improved safety, etc.). ROSS is a trusted source for systems and panels for existing or new designs. ROSS will build and test systems and panels to your exact specifications using superior materials and proven expertise and can offer on-site testing and installation assistance. Achieve compliance (ISO, EN, ANSI, CSA and OSHA). ROSS employs a team of Global Safety Specialists with vast experience and knowledge of the applicable global standards for fluid power applications. A well-designed Safety circuit will reduce risk, improve productivity and ultimately increase your bottom-line. Safety should be the cornerstone of any loss prevention program. Our team of Global Industry Specialists, would be happy to assist in finding the right solution based on your individual requirements. Please feel free to reach out to our team to get the conversation started to see how ROSS can help you strengthen your position in the Steel Industry.